The contest deadline has expired. Songwriting submissions are no longer being accepted. The songwriting contest's winners and finalists from each of the ten categories will have their material sent to record labels, publishers, management companies, promoters and many other music industry insiders for further consideration. Meghan Trainor Meghan Trainor was a previous category winner in the contest. Her songwriting is now hitting the airwaves and soaring to the top of the charts. Her song "All About The Bass" was #1 on Billboard's "Pop Chart" as well as occupying the top spots on the "Top Hot 100", "Radio Songs", "Streaming Songs", "On Demand Songs" and "Ringtones". The Nantucket songwriter's material has been recorded by a number of notable artists including Rascal Flatts. Meghan has also signed a deal with Epic Records and has released her latest album "Thank You". Her album is currently available on iTunes. 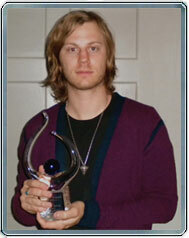 Song of the Year recognizes Jared Sharff for excellence in musicianship and songwriting. The Saturday Night Live's guitarist was the creative force behind the song "Stereo". When asked what inspired Jared to write his award winning song, he recalls, "I saw a Boston band play in New York City one night. The one thing I loved about the band was how relentless they were. It was full on, all the time. It inspired me to want to write a song that had that same vibe and attitude". Jared was awarded the "Song of the Year" award (pictured to the left). With his prize money he promptly used it to buy a new computer for his home studio. In regards to his experience with the Song of the Year songwriting contest, Jared comments "They have been incredibly kind to me and generous with awards. They go out of their way to make you feel special and that your song matters". 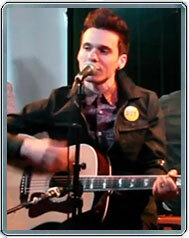 Matthew Koma was a previous "Grand Prize Winner" in the contest and received the cash prizes with his project "BandCamp". He has since signed a deal with Interscope Records and EMI Publishing. His song "Spectrum" spent two weeks at number one on the Billboard Dance Club charts. Matthew also became the guitarist for Eve 6 for a number of years. His most recent releases are available at iTunes and Amazon. The winners & finalists from each of the 10 categories (50 total) will be forwarded on to record labels, music publishers, management companies and more for further consideration! 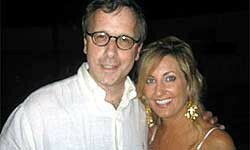 Chris O'Hara & Stacey Rogers impressed the Song of the Year resources. 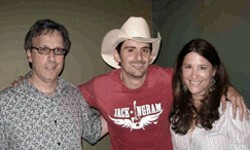 They were given the opportunity to have multiple songwriting sessions with some of the biggest names in country music. Chris & Stacey placed as lyric winners in a past contest. "Song of the Year has been a tremendous help in our careers. They helped us get our lyrics to a published musician who only had instrumental music but needed catchy lyrics for commercial ads. We were given an advance payment and have our song coming out on a Verizon commercial." "After years of looking for a way to get my music to someone who could help me, I finally found Song of the Year! I now have a deal with EMI Publishing. You guys ROCK!" Latino Saint (previous Hip-Hop winner) has signed a digital distribution deal with "Experimental Division Nashville". Dhani Marshall was a Rock Category Winner in a previous contest. He has signed a distribution deal with Universal Music, who distributed his EP "Dandelion". Dhani has also signed a licensing deal with MTV Networks as well as Cherry Lane Publishing who handles some of the biggest names in the industry.